The financial shocks that VHA-enrolled veterans face when they find out that none of their emergency care claims will be covered, if they have Medicare or private insurance, is of no ethical concern to the VA. The National Veterans Legal Services Program represented Mr. Staab and won a huge victory at the CAVC in April (LINK) which said the VA must be a secondary payer. But the VA’s Office of General Counsel is fighting the decision with vigor. A Stars and Stripes article, VA predicts emergency care claim tsunami if ruling is upheld, covered the VA’s appeal in August (LINK). This article contains some choice VA whining. Here are the VA’s appeal dates at the CAVC–click image below. Now the case is at the U.S. Court for the Federal Circuit, Case #16-2671–click below. January is an important date for all enrolled vets. This is so evil I can’t believe they are doing this to the veterans least financially able to cover emergency non-VA hospital bills. VA is wasting precious resources. And this action, if successful, will discourage vets from buying a Medicare Advantage plan etc…so it’s also incredibly stupid. The VA clearly has NO intention of writing new rules. 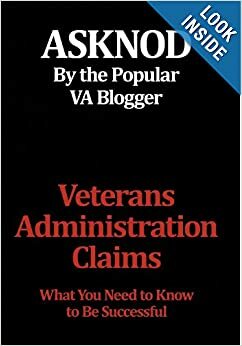 This entry was posted in All about Veterans, CAvC HCV Ruling, CAVC Knowledge, CAVC ruling, CAVC/COVA Decision, Complaints Department, Food for thought, Important CAVC/COVA Ruling, Lawyering Up, Military Madness, research, Uncategorized, VA Attorneys, VA BACKLOG, vA news and tagged asknod.org, CAvC/COvA Decisions, News from vA, Veterans Benefits. Bookmark the permalink. Thanks for this review of these benefits. The fact that Sec. McDonald is fighting in court against VA as secondary payer in emergency cases, after the court ruled against them, makes him ethically ineligible to continue in a leadership rule. It will be years before this is resolved now. Because VA cannot be trusted, I think a Medicare Advantage plan would reduce financial risks in emergencies if a original Medicare plus supplement plan is too pricey. The VA rats fighting coordination of payments for emergency care is clearly a crock. In fact, these rat bastards currently offer coordination of payments with Medicare (as first payer) for emergency and non-emergency medical services for ChampVA beneficiaries. As a service-connected permanent and totally disabled veteran I’m jealous that my spouse has the luxury of Medicare/VA coordinated payment of insurance. Heck, as a priority group 1 Vet, I also have Medicare. Is there a coordination of payments for Richard Staab or myself when we elect to have services provided outside of the VA? Heck no with the exception of emergencies. In 2012, I had an ER visit and subsequent 4 night stay for emergent cardiac issues. The bill was $62,000. I was responsible for $4000. Had it been my lovely wife with Medicare and ChampVA, totally covered and coordinated. The thought of the VA offering this accepted and normal level of coverage coordination for folks like Staab and me, heck no. What BS. So, don’t let the VA fool us and say it can’t be done. It is done. It’s done by other federal agencies and it’s done by the VA for ChampVA recipients. See the Fact Sheet below! Are bills for medical services sent to Medicare or CHAMPVA first? Will CHAMPVA pay the Medicare outpatient annual deductible or the Medicare Part B premiums? At least a portion of your Medicare outpatient deductible will be covered by CHAMPVA. 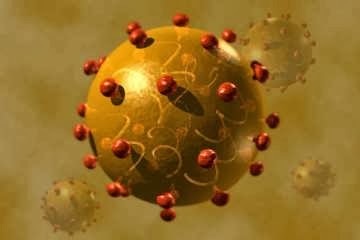 CHAMPVA does not cover Medicare Part B premiums. You are responsible for payment of the monthly premiums. Will Medicare and CHAMPVA cover all my medical needs? Combined, these two programs will cover most of your medical needs. However, there are some benefits that are not provided under either program. For example, cosmetic services and eyeglasses are either not covered or are covered in extremely limited situations. Please review the benefit coverage of both programs carefully.